My son’s Kindergarten Teacher creates a positive environment where learning is filled with adventure, patience, and love. To help the children understand the importance of voting they did mock voting on simple child-level topics in class. My child comes home eager to read and is excelling. The social, spiritual, and educational experiences my child is receiving are priceless! I like St. Paul School because it is smaller. There are less students in a class so your student has more “one on one” with their teacher. The teachers at St. Paul are more understanding and change the room and way they teach so you can understand better. I learn better and quicker here than public school. Teachers spend more time correcting behavior in public schools. Teachers at St. Paul listen to what you need and that helps me understand. They will adjust learning so you understand. In a large school teachers don’t have time to help. They spend more time managing students at the public school. If there is something bothering me the teacher is willing to make changes because there are less students. I know my teacher cares about me because he listens to me and understands. If you fail at something he lets you rework it cause failure is not an option. I love my school because some friends respect me, and my teacher is nice to me. It’s called St. Paul Lutheran School, which means I’m a Christian. I love learning about Jesus. If you wonder about Jesus, I’m happy to tell you about him. If you have a king other than the Holy Spirit, Jesus, and God, then you’re wrong. I know that sounds crazy, but it is true. Hope you believe in God. I like this school because the teachers are nice and try their best to make learning interesting. Teachers don’t get upset when you ask for help. If you have a problem with something they will try their best to help you. This is the best school I have had yet, because the student ratio is 8 to 1 which means the students get more 1 on 1 time. I like how the teachers here can have fun and at the same time teach productively. St. Paul Lutheran School has provided an opportunity for my child to excel or improve in academics, social skills, and faith. Great teachers and staff provide individual attention and help to each student. The teachers and staff have encouraged the students to accept differences in each other, to be accountable for their actions, to accept constructive criticism, and to deal with peer pressure and each other. They develop life skills which will be needed in the future. Christian values and beliefs are taught or stressed in and out of the classroom. Kindness, respect, forgiveness, and caring are among the virtues your child will learn and use in the future. These intangible benefits and prayer may not be afforded at other schools. 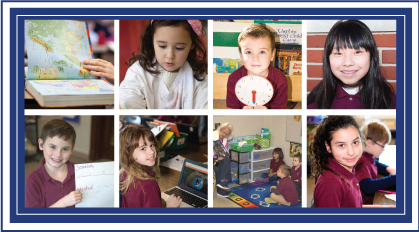 St. Paul Lutheran School provides your child with a sense of belonging. Not only are they part of a community, but part of a “family” ……St. Paul Lutheran School “Family”.